Liquid brunch…? Book now for our Bottomless Brunch on Saturday. 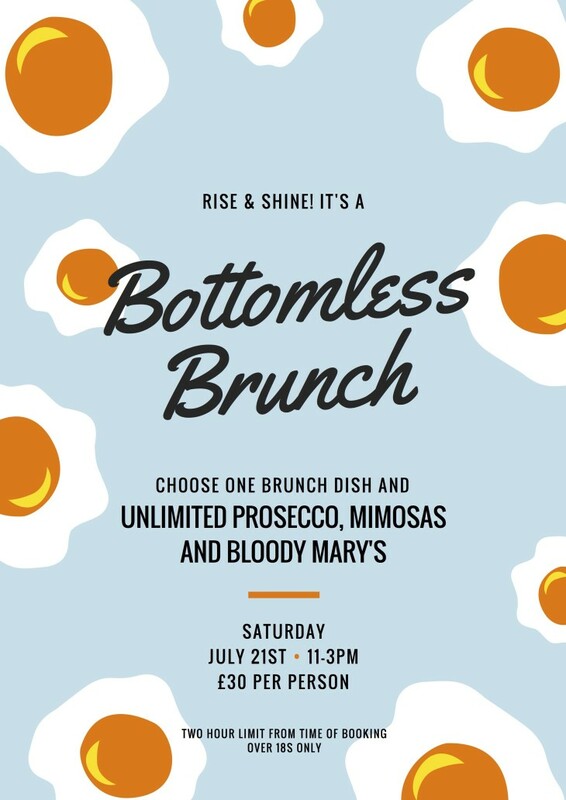 One brunch dish & unlimited Prosecco, Mimosas and Bloody Mary’s. If you don't want to go bottomless then just join us for brunch.